Gaming has reached a point where it can be used for many different things alongside entertainment. There are games that help mental and physical health, there are games to teach almost any topic, and there are games that make a statement about something important. 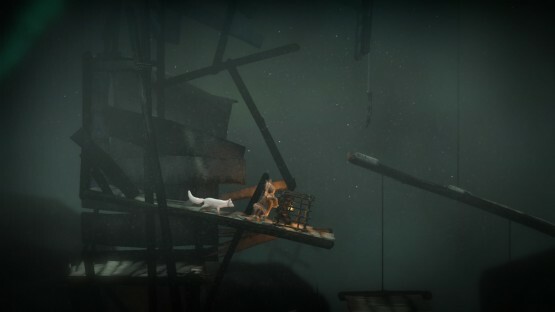 Never Alone is a game that sets out to share the story and culture of the Iñupiat people. You play as a little girl and her companion, a white fox, journeying through Alaskan wilderness to reach the source of a raging blizzard. This game is the best delivery of Alaskan indigenous folklore to the masses I have ever experienced. Not that I have experienced any other Alaskan indigenous folklore experiences, but that’s the point. I had not heard very much about these stories or this culture before playing this. What a beautiful use of a video game. Something that involves such passion, storytelling, and visual expression fits perfectly with a modern video game. You can just play Never Alone without watching the short documentary-esque clips that are collectibles scattered throughout the game, although you may be disappointed, as the substance of the game is half in the documentary clips. Each thing that happens in the game is expanded upon with photos, stories, and personal interviews with some Alaska native storytellers and elders. The artwork in the game is really impressive and pretty, too. The feeling of the harsh, yet beautiful Alaskan environment is well translated through the bright characters and painterly landscapes. I loved watching the fur on the little girl’s hood blow in the wind, and the light reflect off her face. 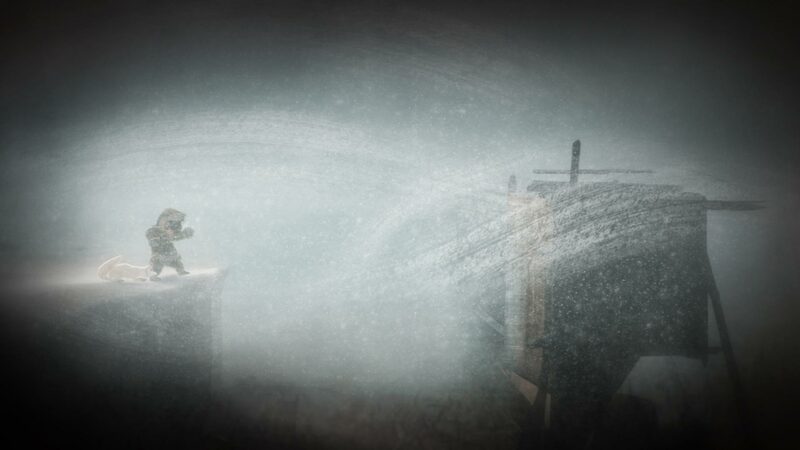 The weather plays an important role in the story, and it is amazingly crafted in Never Alone. The wind blows and the environment realistically responds to it. The snow, water, ice, wind, smoke, fire, and all the other difficult-to-create visual effects look great. I could take a screenshot at any point in the game and hang it as an art print on my wall. The entire game cohesively works together to bring this folk tale to your living room without feeling like they are trying to mix oil and water. The main message I learned from this game is that Iñupiat culture is about community, sharing, and helping others, or being selfless for the good of your people. Their culture is not a novelty, it is their way of life and it is to be respected. The game is an extension of the sharing that is such a core virtue for this people. Their stories and ways of life are shared and told through this modern medium. It’s purpose, I feel, has been successfully accomplished. The puzzles and platforming are not bland, seeming to fit organically within the environment, and change based on what happens to your characters throughout the games narrative. You can switch between both Fox and Nuna to help move past environmental challenges. You can also connect a second controller at any time and play co-op, with one person controlling each character. Sometimes this makes the puzzles less frustrating, as switching back and forth can be cumbersome. If you are only looking to play a puzzle platformer, however, your experience may seem too short. It even feels somewhat short considering I loved the storytelling, learning, and entire feeling of the game and I wanted more of it. The game is over relatively quickly, and that leaves you feeling abruptly vacant. Never Alone is one of those games I want everyone I know to be able to play. It’s a really great example of the good that video games can do in the world, and of the artform they really are. Anyone can play it, everyone would find something to enjoy about it, you can play it with a friend, and non-gamers would even enjoy watching you play due to the intermittent documentary clips and the beautiful art style. 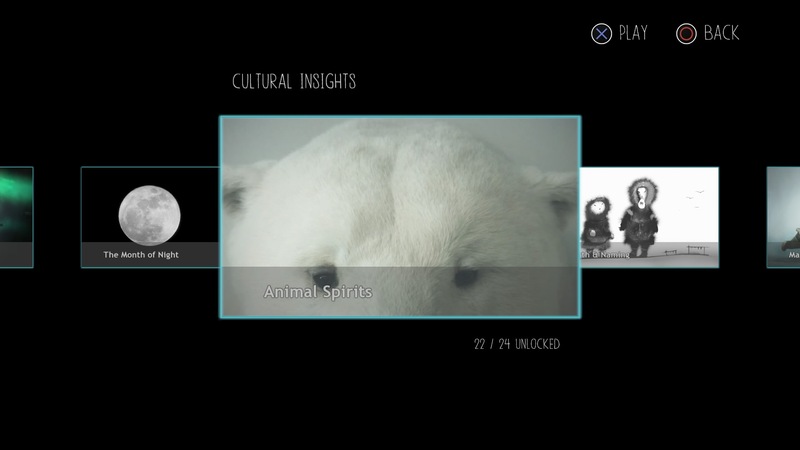 The future of gaming looks even more exciting due to Never Alone’s existence. If this is an indication of more to come, I can’t wait to participate in other cultures and stories from around the world in an interactive art form. 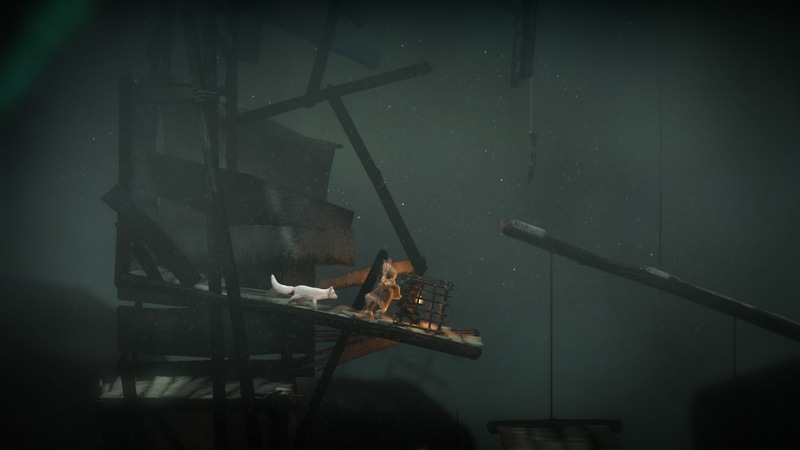 Never Alone review code provided by publisher. For more information on scoring, see our Review Policy here.